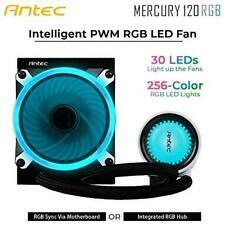 Antec A40 Pro quad heatpipe CPU AirCooler 0761345109239 Other Portable Accessories. Exquisite straight touch technology of heat pipe. Equipped with four 6mm high-performance heat pipes. This is the complete assembly including the 4 pin cable to allow you to connect this to the motherboard. This unit slides into the dual rear fan and covers over the RAM to keep it nice and cool. Fully tested, it works perfectly. This is the complete assembly including the two x 4 pin cables to allow you to connect this to the motherboard. Fully tested, it works perfectly. You can zoom right in on them to see the system up close. HP Compaq dc7800 Convertible Minitower PC. HP Compaq dc7800 Small Form Factor PC. HP Compaq dc7800 Ultra-slim Desktop PC. 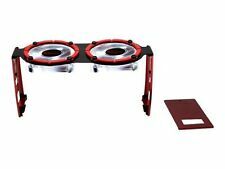 Combat heat with Antecs C400 CPU Cooler. The 8 mm thick copper coldplate and nickel-plated aluminum fins with four embedded heat pipes achieve maximum heat transference as well as lightweight durability. 6-pin connecting sockets, 7 wires to each plug. 4 of the fans are AVC part DFTA0456B2H, ball bearings. The other 2 are Delta Electronics part GFB0412EHS and don't say if they are ball bearing or not. 4-pin Female to 4pin Male. Noise Speed Reduction 25%~30% around. 1x Speed/Noise Reduction Cabl. DC7800 SFF - Small Form Factor! Processor Heatsink and Cooling Fan. Fully tested and working Desktop Fan pulled from new or factory refurbished machines. No collections allowed. Product Type Will Fit . In good working order. Pulled from a working machine. Internal Component! DOA WARRANTY ONLY (Dead on Arrival). No collections allowed. Fully tested and working item pulled from new or factory refurbished machines. Part Number: K000008980 / ATBL1022000. Aspire 5535. Internal Laptop Fan. Fully tested and working Laptop Fan pulled from new or factory refurbished machines. No collections allowed. Will Fit . Laptop Fan. Fully tested and working Laptop Fan pulled from new or factory refurbished machines. No collections allowed. Will Fit .